If you've planned on booking vacation rentals in Sanibel Island, you know you'll be in store for some much-needed RandR. 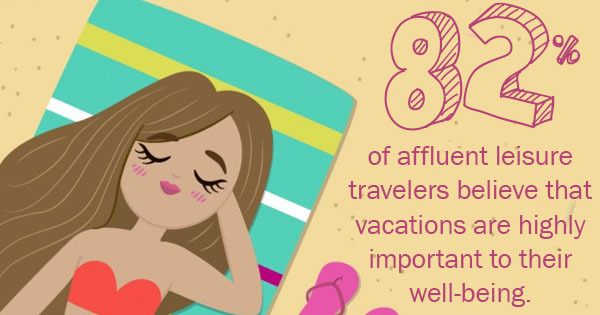 In fact, 82% of affluent leisure travelers believe that vacations are highly important to their well-being. But the truth is, you don't have to be well-off to enjoy a stay at our Sanibel Island vacation rentals. Our beachfront condos provide all the amenities you could want, and our beautiful location can't be beat. But many people don't realize that Sanibel Island offers much more than sand and sun. Shell collecting is a favorite pastime for many visitors, and with 250 different species of identified shells, it's no wonder why! But if you want to learn more about the shells you spot and see some amazing and rare ones too, a visit to the Bailey-Matthews National Shell Museum is a great activity for the entire family. You'll see some of the largest shells in existence and fossils from around the world, as well as shells locally found right here on our island. Step back in time when you visit the Sanibel Historical Museum and Village. Learn about the island's earliest residents and take a peek in seven historic houses. Although these buildings are not native to their current location, they were carefully moved and restored to their original format. Furnished with antique tools and furniture, these homes tell the stories of early pioneers, Spanish conquerors, and the Calusa people who called Sanibel home during the 1800s. Along with daily tours, the museum also holds special events, lectures, and even concerts. Experience the best of local produce and goods at the Sanibel Island Farmers Market from October to April. Sample and purchase local produce, honey, meats, seafood, dairy, and more from local farmers, bakers, chefs, and cheese makers. It's a great way to spend a Sunday, and you'll get a taste (literally!) of the wonderful food of our region. If you're a lover of the arts, you'll definitely want to stop by here. Established in 1979, Big Arts contains a 400+ seat performance hall, which offers concerts of almost every genre as well as professional theater productions and Broadway shows. If you're more into visual arts, the facility also hosts art exhibits throughout the year for both local and national artists. Furthermore, they also host 250 educational classes and workshops for the local community and schools. You'll immediately be immersed in Sanibel's rich culture. Home to hundreds of plants native to our state and other tropical locales, the botanical gardens provide a tranquil look at all the flora of Florida. The botanical gardens were actually created by accident: the property owners hired an enthusiastic gardener who took great care to include Floridian and exotic plants in the design. Eventually, the garden became officially recognized as a botanical garden, and it is now home to many species of birds, butterflies, turtles, and other forms of wildlife. You didn't think we'd leave this one out, did you? One of the main reasons our guests book vacation rentals on Sanibel Island is to experience our beautiful beaches. From Bowman's to the beaches just outside your condo vacation rentals, be sure to soak up the rays of sun and enjoy the waves. It's what we're famous for, after all! If you're interested in booking your vacation rental accommodations on Sanibel Island, contact us today. At the Original Sanibel Arms, we'll make all your getaway dreams come true!